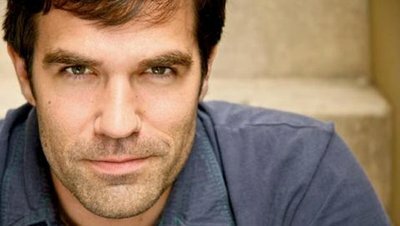 Rob Delaney has used the power of social media to launch his career. He has over a million followers on Twitter and is known as being one of the funniest people on that platform. His witty observations regularly brighten up the day of those who follow his tweets; he comes across as a fun guy and it is hard to imagine him any other way. The reality is that Rob Delaney has suffered badly in the past from alcoholism and depression. It does seem to be the case that some of the funniest people on the planet are often among the most depressed people in their real lives; this profession has an above average rate of alcoholism. It has been suggested that the main reason there is such a strong link between comedians and depression is that many turn to comedy as a way to deal with their symptoms. Some individuals devote their lives to making other people laugh in the hope that it is going to lead them to happiness too. Rob has been working as a stand-up comedian for years, and in the early days he fit the criteria for the depressed and alcoholic stereotype associated with this profession. He has recently released his memoir entitled Rob Delaney: Mother, Wife, Sister, Human, Warrior, Falcon, Yardstick, Turban, Cabbage, where he discusses some of his struggles. It turns out that many of his funniest stories are based on tragic experiences from his own life; he learned to cope with his tragedies by using humour and turning to alcohol. One of his lowest points came in 2002 when he crashed his car into a public building. He was given the option of going to rehab or going to jail. He made the most of this opportunity and managed to turn his life around. He realised that he was extremely lucky to be still alive and so developed a deep gratitude for recovery. Rob Delaney still suffers from depression but these days he uses prescribed antidepressants; this is far more effective to using alcohol. Rob Delaney is not the first person to turn to alcohol as a means of treating their depression (this type of behaviour is usually referred to as self-medication). In many instances the person does not even realise that they are dealing with depression; they just know that alcohol seems to provide them with an escape from some unpleasant feelings. The problem is that alcohol is the worst cure in the world for depression and it makes the symptoms much worse. Alcohol is a type of drug known as a depressant, which means that it can trigger the symptoms of depression even in those who are not depressed. When people first begin using alcohol, they can be fooled into believing that the alcohol is helping them, but it is actually making things much worse. The individual can then fall into a vicious cycle – they drink alcohol to deal with their symptoms of depression, which increases their symptoms so they need to keep on drinking more. These days there are many effective cures for dealing with depression. It can sometimes take a little experimentation to find the right treatment, but there will usually be a solution if the person is willing to work with their doctors. Alcohol is never going to be an effective solution and it just means that the person often adds an addiction to their list of problems. In a recent interview with Slate magazine, Rob described his base level of happiness as high. He does take medication to treat his depression and he does do his best to take care of his mental and physical health, but he is far less of a stereotypical comedian these days. He is becoming a good example of how you do not have to be depressed in order to be funny.